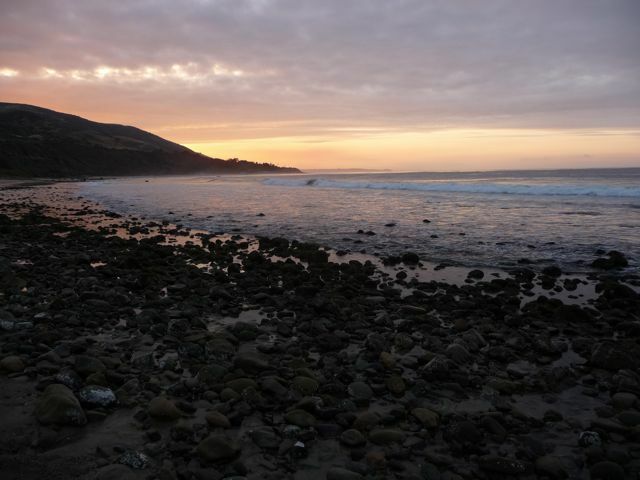 Earlier this year, we joined a group of westside homeschool families for a camping overnighter up the coast at Leo Carrillo State Beach. Leo Carrillo has 1.5 miles beach front, as well as 135 campsights on the "inland" side of the Pacific Coast Highway. 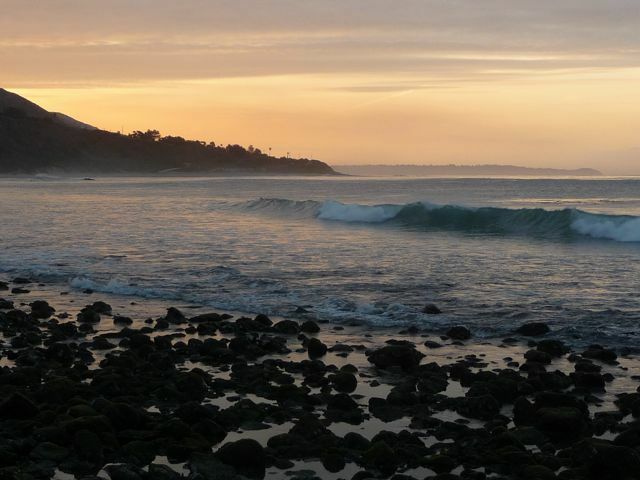 It's located on the western most edge of Los Angeles County, just past Malibu city limits. We were there mid-week in April, with some great weather. I was up early (hard to "sleep in" while camping) and caught these sunrise photos. This is looking south towards Malibu with Pt. Dume in the background. Santa Monica is another twenty miles south. 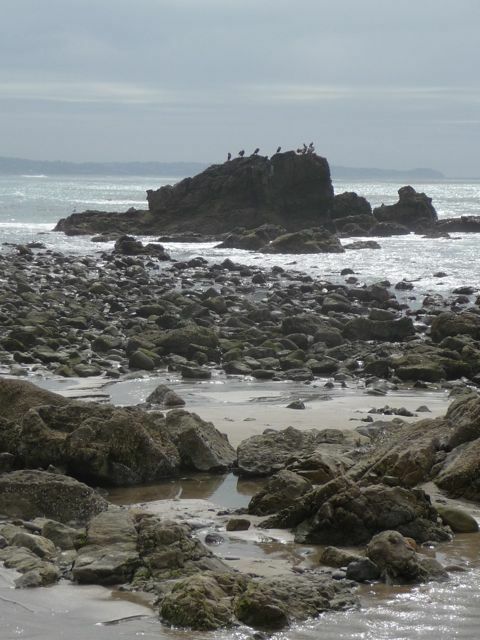 Leo Carrillo has an abundance of wildlife and rugged rock formations, as well as sandy beaches to enjoy. 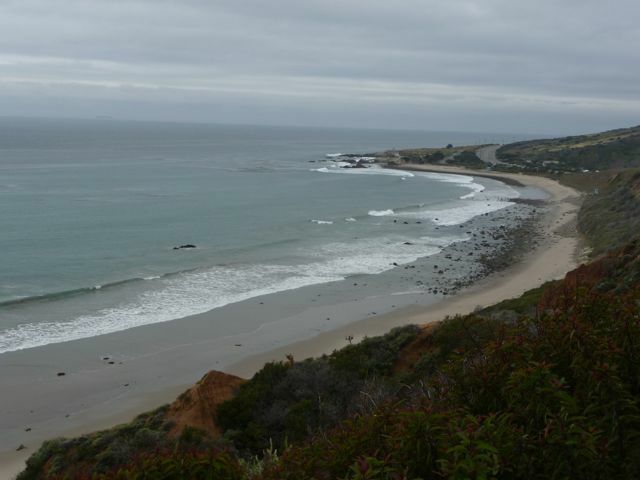 I love how the Pacific Coast Highway curves along the coast here on it's way into Ventura County. Los Angeles, as well as the rest of coastal Southern California, is blessed with a moderate Mediterranean climate: mild winters and dry summers. "The Endless Summer" is the title to an old surf film. But - at least compared to the rest of the country - it's something we actually experience.